Howdy neighbor! If yer youngin' is fixin' to have a birthday, why not throw an old fashioned farm birthday Birthday Party? Party planning can leave you plumb tuckered but...don't have a cow! We don't horse around when it comes to helping you prepare for the farm birthday party. We have great ideas and instructions for ewe- invitations, games, decorations, the cake and even recipes for vittles so the little critters can pig out til the cows come home. Check out all the options you have for fun farm parties. Click on a set for more information. Set the party theme for a day down on the farm! A birthday banner welcomes the guests and lets the folks know the exact location of the farm birthday party, something the neighbors will appreciate. Yard signs are great too! You can even order a personalized farm party banner or yard sign! 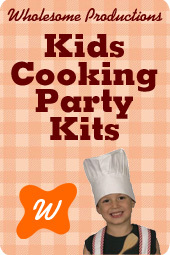 Whether your farm birthday party is at home, the park or another location, you can set up a farm birthday party feel. It's a hayday! Haul in a few bales of hay that can serve as extra seating too. You can even get each child to sit on the hay bale for a photo that can be sent with his or her thank-you card for a personal touch. And speaking of photo's...get a load of this picture perfect farm birthday photo prop! Some corn stalks can be placed around along with wicker baskets of fresh fruits and vegetables. Galvanized cans are about as country as ya git and can be used as ice buckets or throw a red bandana in and fill with personalized chocolate suckers! You can set a few burlap sacks of potatoes in the corner and even make a small sign,"Taters- Penny a Piece". Add personal country toucheswhere you can. For one farm birthday party, I used a cowboy boot my son had as a baby and filled it with silk blue bonnets. A framed photo of your birthday child in overalls or sitting on a bale of hay would serve the same purpose. The really cool thing about a Farm Birthday Party is that you can go through the attic and pull out your fall decorations like a scarecrow as well as those bunnies from Easter. Turkeys from Thanksgiving can find a spot in the decor as well. No farm birthday party is complete without balloons. You can never have too many so load up the waggon. You can mix Farm Birthday Animals Mylar balloons with solids for a fun effect. Birthday in a Box has lots to choose from! The cake is kid's favorite part of the farm birthday party so make sure your Farm Birthday Party cake is the cat's meow. Depending on if you are inclined to have a creative bone or need your cake done lickedy-split, will help determne which route you go when purchasing or making the cake. Of course you can order a cake from a bakery or boutique or even pick one up at your local grocer. If you choose to bake the cake yourself, we have some ideas for downright awesome cakes that wont cost a lot of dough. For those of you who are as busy as a long tailed cat in a room full of rocking chairs but still prefer to bake your own cake, a cake topper cake set is the perfect solution. They are adorable yet simple. Just bake and frost with our cream cheese frosting. Then just set a topper on, quick as a wink. You can even add to the effect by using our decorator's frosting to create a farm birthday party scene to place the toppers on. For those of you who are do-it-yourselfers, you can make your own farm birthday party scene. Just purchase some farm birthday animal toys and place on top of whatever scene you want to make. I made this cake. It was fun and so easy, my three year-old grandson helped. To make this cake, simply bake two round cakes and frost sides and top with cream cheese frosting. Cut large popcycle sticks in half and stick to the frosting for the fencing. Assemble farm party animal toys on the top and place two pigs in a tin trough that is filled with hot cocoa (dampened just a bit)or you can use chocolate frosting. Tint shredded coconut green or shred green Wilton chocolate melts like I did. Place on red and white checkered covered cardboard. I used shelf liner that I hot glued to a styrofoam board. If you are feeling adventurous, here's a more advanced option. Bake a cake in a farm animal or tractor shaped pan then decorate according to the directions. You can make your own animal shaped cake too. Look online for cool farm birthday party animal cake ideas like a pig or chicken. You can even do this traditional bunny cake that I made recently. Bake two round cakes and use one for the head. Cut the second to make a bow tie and two ears. I let the children decorate it with gum drops, jelly beans and other assorted candies. My daughter and her husband, the chef, like using fondant so they made an utterly adorable Farm birthday party cake by stacking two round cakes then frosting them. Then they applied a sheet of white fondant to cover the entire cake area and added black cow spots. They added strip of red gingham around the base. The cake turned out moo-valous. Cupcakes are always a favorite for the kids. They are easy to make and fun to eat so whether you serve them along with a cake or instead of, make sure to include them at your farm birthday party! We have some great idears fer ya so your cupcakes will look (and taste) like they came straight from the farm. If you are pressed for time, here's one that's "quick as all get out". Just whip up a batch of our cake batter and frost with one of our delicious frostings. Or, of course you can use yer own recipe if you are so inclined. Then, simply stick in farm birthday party cupcake picks or top with one of these farm birthday party Animal toppers. You can also use a toy like these fun farm birthday party animal squirters for a topper or farm birthday party theme novelty candies. Fer those wanting to do a little more, check out these farm birthday party animal creations. No matter which of the cupcake ideas you fancy, don't forget the cupcake liners. I love the red gingham ones for some down-on-the-farm charm. Send the little ones home with a cupcake treat. We found these Farm birthday party theme cupcake boxes at Birthday Express. and recommend purchasing one. You will use it over and over and it makes a very attractive addition to the serving table. With all the fun the yougin's will be having at the farm birthday party, they are sure to need some grub to fill e'm up. We have acres of country cousine ideas and farm fresh favorites that will have the whole barnyard piggin' out. If yer farm birthday party falls around mealtime, you will want to serve up some hearty helpins that include one or more of these main dishes. Unfold the rolls and place a weiner and some shredded cheese in each one then wrap. Bake as the rolls instructions or until lightly browned. Serve on a pink platter or pig plate like this one. This dish is not only delicious, its really farm fit when served in a plate with a toy horse in the "hay" on the tray. In a large saucepan, cover potatoes with water. Bring water to a boil and cook until tender, about 20 minutes. Let cool in refrigerator overnight. The next morning, heat butter in a large skillet or frying pan. Shred potatoes and add to pan. Season with salt and pepper. Cook until golden brown on bottom, flip and brown on other side. This is a favorite you udderly must serve cuz what's a day on the farm without Grandma's fried chicken? Add 1/2 to 3/4 inch oil to a large, heavy skillet. Heat to approximately 365 degrees and place chicken pieces in hot oil. Cover, and fry until golden, turning once, 15 to 20 minutes. Drain on paper towels. This one is a fun and easy family favorite! Simply make sandwiches with the filling of your choice like chicken salad, peanut butter and jelly or deli meat and a slice of cheese. Use farm animal cookie cutters to cut into shapes. Mealtime at your farm birthday party can be a hare raising experience with this adorable bunny! I actually did this one for Easter but it fits right in to the farm birthday party and will be the talk of the barnyard! After the bread has risen, make the bunny by shaping an oval for his face and a circle for his belly. Then make paws and hind legs. Roll out two ears by twisting a long piece then folding it over. Make small flattened balls for the cheeks and nose. Place 2 raisins for eyes and two almond slivers for the teeth. Let rise and bake on baking sheet in preheated oven according to the instructions on the dough. Be sure to keep an eye on it, preferably by looking through the oven window. The bunny will rise again as it bakes. Once the bunny has risen, scoop out some of the bread from the tummy area then place lettuce in the hole and fill with dip. Arrange veggies, cheese and ham around the platter. Stick 3 toothpicks into each side by the cheeks for whiskers. NOTE: You can move the bunny to a bigger serving dish but what I did was left it on the baking dish and just layed some pretty lettuce leaves on the baking dish and place the baking sheet on a larger covered board. Your little piggies will devour these baaaaa-d buns! And we mean baaaa-d in a good way...just taste and see. Let the dough rise according to the directions on the package. Make circles with a biscuit cutter or you can even use a glass. Place one circle down and place some filling inside then add a dough circle piece on top and seal the edges. Make pig ears from triangles cut from the dough and small circles for a pig nose. Place 2 slices of almonds on for the teeth then make two slits in each pig nose. Add raisins for eyes. Let rise again then place on baking sheet in a preheated oven and bake as directed on the dough instructions. NOTE:You can substitute the filling for the filling of your choice like a ham and cheese mix or even just cheese. Kids love corn on the cob drippin' with butter. The best kept secret is that it is good for them but I won't tell if you don't! Boil, broil or steam corn on the cobs. Cut off the ends of each cob and cut in half then place on a stick and dip in melted butter. You can't go wrong with a fruit and veggie tray. The folks will nibble and munch on it from the time the farm birthday party starts til you bid farewell so be sure to serve up a nice one. You can make two seperate trays, one for fruit and one for vegetables or mix them onto one platter. Here's a country style dip for the veggies! 1.Cover baking sheets with wax paper and set aside. 2.Combine sugar and cocoa in a large saucepan. Stir in milk, butter and peanut butter. Cook and stir over medium heat until butter melts and mixture is combined, about 5-20 minutes. Remove from heat. 3.Stir in the vanilla, oats and nuts, and mix thoroughly. Take a teaspoon and scoop out a spoonful of the mixture; drop the spoonful onto the waxed paper-covered baking sheet. Repeat with the rest of the mixture. Place in the refrigerator until the cookies are cooled and set. Store the cookies in an airtight container. These Cow Patty cookies look really authentic when placed on a plate with a toy cow nearby. Melt chipits together. Add nuts and noodles. Drop on waxed paper by spoonfuls. Store in refrigerator. You just can't spend a day on the farm without gettin' some dirt on ya! Serve some chocolate pudding in mini sand pails for some good clean fun. You can use galvanized mini pails if you'd drether. Mix up Jell-O Jigglers and when set, use animal cookie cutters to make fun shapes. Mix sugar and butter. Add egg and flavorings and mix thoroughly. Measure flour and sift with dry Ingredients and blend into butter mixture, mixing well. Refrigerate 2-3 hours. When ready to bake, divide dough in half and roll out to 3/16 inch thick on lightly floured pastry cloth. Cut with floured farm party animal cookie cutters. Place on lightly greased baking sheet and bake in preheated 375 degree oven for 7-8 minutes. Let cool and frost with pink tinted easy creamy icing or put two baked heart shaped cookies together with red-tinted peppermint, flavored icing. The youngsters will be workin' up a thrist big as Dallas so let 'em bend an elbow to some cold ones to wet thier whistles. You can use a large galvaniized tin bucket to chill drinks in or to use as an ice chest them. Serve the drinks in Farm Birthday Party beverage cups like these. Of course milk served in ndividual containers is always a moo-ey bueno drink on the farm. Use cool target="_blank">pig straws for a festive slirp. Heat the sugar and water in a small saucepan until the sugar is dissolved completely. While the sugar is dissolving, use a juicer to extract the juice from 4 to 6 lemons, enough for one cup of juice. Or, use concentrated lemon juice. Then add the juice and the sugar water to a pitcher and the 3 to 4 cups of cold water, more or less to the desired strength. Refrigerate 30 to 40 minutes. If the lemonade is a little sweet for your taste, add a little more straight lemon juice to it. Country folks like a tall glass of iced tea. Simply prepare iced tea according to the directions and serve chilled with a slice of lemon. You can opt for a flavored tea like raspberry and can also choose to go decaffinated. Combiine Ingredients and blend until smooth. Juicy Juice Harvest Blend is a festive choice as well as Country Time Lemonade (regular or pink). The convenient serving boxes are spillproof and convenient. Gather the youngin's 'round to play with this inclusive barnyard activity pad that comes with a pad and 2 crayons for each child. Each order contains a dozen sets. Set up a table or area for the kids to work. Give each one a white paper sack and a piece of round styrofoam which they can paint the color of their choice. Each child will also get 2 googley eyes, 6 toothpicks for whiskers and a pom-pom for a nose. Help the children cut 2 bunny ears each from sheets of thin foam. Set some containers of glue on the table along with paints, paintbrushes and glitter if you are brave. This craft set is one of my favorites and is from Designed 2B Sweet. Kids will love making farm frames with self-adhesive letters and shapes. They can design their farm and there is room for a photo. I like the idea of printing out a photo of each child during the party that can be placed in the frame. You can send a photo with each thank-you card instead if that is easier for you. This project is very inexpensive and each order comes with 2 dozen sets. Another fun and economical craft set is this Farm Animal Paper Plate Craft. Each order comes with 12 assorted sets to make pig, cow, sheep and chicken designs. Especially if your Farm Birthday Party is for youngin's, you might want to check in your area for a petting zoo. Many will come straight to your house or even a designated park area and provide an hour or so of entertainment. Smaller animals, such as chicks, bunnies, and ducks, are generally included and sometimes larger ones, such as goats, pigs, and sheep, individually. Pony rides are optional with many petting zoos. Customers often can choose to have a small petting zoo, pony rides only, or both. Nothing wraps up a day on the farm like a hayride! If your party is in the country, just throw some hay on a trailer or in the back of a pick-up truck and you've got some happy children. If your party is not on the farm, you can improvise by pulling a small hay-filled trailer with a riding lawnmower. Yee-hi! Little ones will enjoy taking turns riding a rocking horse. Throw some hay in a wagon and give them a spin around the yard for a tot-aized hay ride! The youngsters will love the action. When the hoe down's over, be sure the youngin's go home smilin' from ear to ear with these fun farm birthday party favors. First you will want to decide what you want to put the treats in so you will know how many will fit in each one. Options include farm birthday party treat sacks like this spotted cow sack, Farm Treat Boxes like the one below or you can make your own by decorating solid white or bold colored lunch sacks with Farm Animals Stickers. You can even put the favors in straw hats, cowboy hats, burlap bags or red bandanas. Once you know how many treats your container will hold, it's time to fill 'em up! They have farm coloring books, farm animal squirters and sticker sets and a moo-velous assortment of personalized items like buttons, zipper pulls, bag tags, magnets and bookmarks. You can even purchase this ready to go set from Birthday in a Box! Check out all the cool country goodies! Designed 2B Sweet has a unique assortment of farm birthday Fun such as barnyard hedgeballs, bendable farm animals, finger puppets and crafts. They offer free shipping over $80 and with all the farm birthday items they carry, that is worth checking into! Your little guests will be having as much fun as pigs in mud so better check out this good clean gift...personalized farm animal soaps! Don't forget to add some sweet treats for a Farm favor finale. Cow tales is a classic sweet surprise to add to the mix and duck shaped candies fit right in as well. You can make your own farm animal chocolates with this mold. Then simply wrap them in clear or tinted cellophane and you have a farm festive treat. Personalized M&M's make great favors as does old fashioned candies like the candy you ate as a kid. If you are short on time, you can always get treat sets that come preassembled and include containers. They are down right clever and you just might find you are not only saving time but money as well. Ice Breakers are fun games the youngin's can play to get to know one another better and to warm up to the party. They are best played at the beginning of the party. You can take a look at the selection of Ice Breakers and choose the best ones for your party. Have each child say this jingle, substituting his or her own name. "Howdy neighbor, my name is Cody. My favorite thing on the farm are the cows." (the favorite thing on the farm should start with the first letter of the child's name. You can make this more difficult for older children by adding thinks like, favorite food, favorite animal, etc. NOTE: I like the idea of passing each child a cowboy hat to put on when they take their turn. Pair the children in groups of two. Try to match up children who do not know one another well so they can get aquainted. rings or on the count of three, they run like wheelbarros style to the finish line which can be a hay bale or strip of tape. Then the players switch off and race back. NOTE: This game can also be played as a relay race of two teams. Let the children take turns acting out a barnyard animal. The rest of the group will try to guess the animal. For older children, you can have them draw a piece of paper out of the cowboy hat with the name of an animal on it. Older children might be asked to do the charade without talking or while standing on one foot just to add a fun twist. Make a list of old country sayings and have the children guess the meaning. Sayings can be something like these: well I'll declare; too far and snakey and sides I'm scared of frogs, and yer burning daylight. Pinatas are a hit with children of all ages so make sure to tie one up at your farm birthday party. Let the children line up and take turns being blindfolded with a bandana then spun around and let 'em take a swing at the pinata. At our parties, we let the youngest children go first so there is less chance the pinata will bust before everyone gets a turn. I also like to give each child a favor bag before the game starts so they can tuck away their goodies when the time comes. What's a farm birthday party without some good old fashioned games like Pin the Tail on the Donkey? Line the children up, blind fold them with a bandana give 'em a few spins and let them take turns trying to pin the tail on the donkey. The one who gets the closest wins. Children of all ages will love this great game. Let the players take turns pitching the bean bags into the holes. Each player gets six tries. Each hole has netting so you can easily keep score. You can let younger children stand closer. For an added twist for the older players, you can have them designate a hole they are shooting for. This game is an a"nay"zing outside game for all ages. Before the game, designate a long starting line with masking or electrical tape (I like using the colored kind). Decide how far you want the race to be according to the age of the children and scatter a good amount of hay at that point. Have the children line up, shoulder to shoulder, down the length of the tape and give each a bucket with a handle such as a sand pail or galvanized tin buckets. Ring a cow bell or count to three and it's off to the races! The children will stampede to the hay where they will fill their bucket and race back to the starting line. The child who returns first wins but he or she must have a bucket full of hay. If the hay blows or falls out along the way, it must be gathered back up so the bucket will be full when he or she crosses the finish line. Set up a line of chairs, one less than the total of players. Play some Farm Songs while the children circle around the chairs. When the music stops, each child must take a seat in a chair but one will not have a chair and that player is "out". Take out one chair and repeat until only one child is left who becomes the winner. This fun game is like Pin the Tail on the Donkey but with a twist. A baby chick is lost and needs help from your party guests! To play the game, the youngin's will need to place their chick sticker closest to the designated spot in the grass while blindfolded. Whoever gets their chick the closest wins! Each game includes 1 poster, 12 stickers and 1 paper blindfold. To play the game, 2-12 players will need to place their chick sticker closest to the designated spot in the grass while blindfolded. Whoever gets their chick the closest wins! This game can be made very easy for young children and more difficult for older ones. Let one child start the game by being the Brown Cow. You can even go all out with this Cow Mask! The children will ask, "How now Brown Cow?" Brown Cow will give instructions to the group such as, "Hop on one leg." For older children, instructions can be something like, "Pat your head, rub your tummy and hop on one leg." Any child who does not follow the instructions correctly is "out" and must leave the group to the designated cow pen area. The game will go on, with instructions becoming more difficult until only one child is standing and that child will then be the new Brown Cow. NOTE: Remember to take it easy on the kids and make the game fun, even for those who are "out". All you need for this relay is two stick horses. Divide the children into two groups. Each group can decide upon a name like the "Great Gallopers" or "Race Course Race Horses". The two groups will line up and one member of each group will gallop to a designated line (I use colored electrical or masking tape) and back. Then that player will quickly hand off the stick horse to the next player. The group that finishes first wins. This is a really fun pop n' match game for ages 3-7. The children take turns trying to be the first to match all the animals on his or ger game card. The popper is built in so there are no loose pieces and the game is easy for all to play. This great game can be purchased from Amazon. Especially if your farm birthday party is indoors, this game is a farm birthday party lifesaver, a definate "must have". The animals have gotten lost all around the farm and the children must find them. Prior to the game, hide plastic farm animals so the children can hunt for them. Give each child a sand pail or decorated sack to put their "finds" in. You can easily draw some black cow spots on white lunch bags for a festive touch. The children can take the animals home as farm birthday party treats. This farm game is safe, easy and lots of fun. What more could you ask for? Entertain even the youngest youngsters with a round or two of Baby Farm Friends Bowling. We love teaching children games we played in "the olden days" and this one is a favorite that is certainly perfect for the farm birthday. The players form a circle holding hands around one who is designated as the farmer, singing the first verse while moving around in a circle. When the verse is over they stop and the farmer picks a wife (can be done without looking). The wife joins her or him in the center for her verse and so through the verses until the cheese is left who stands alone. Then the cheese becomes the farmer for the next round. NOTE- We all remember the feeling of being the last child chosen so I like to have the children do the "picking" by pointing with their eyes shut. In the "olden days", we used to scavenger hunt by going door to door, asking neighbors for things on our list. I remember taking my daughter and her party to the mall for a scavenger hunt. But times have changed and not everything is for the better so how and where you do your hunt is your call. Before the farm birthday party, you will need to acquire all the items on the list and hide them. Make two lists of farm related items. Divide the party members into two groups and give each group a list of the items they will need to find. Items can include such things as: toy farm animals, a toy rake, shovel and hoe, eggs, a bandana, a pair of overalls, etc. You can be original and have fun with this game, like have the children hop while finding the objects or incorporate a "no talking" rule. The group that collects all the items on their list first, or that has the most when "time" is called, wins. Happy Hunting! How 'bout a good ole game of Tug of War? All ya gotta have is one large, long rope and two teams of players ready to pull! Have the teams grab on to the rope, with the two groups facing one another. Make sure there is some space in between the first player of the groups (who are actually facing each other). The team that outpulls the other wins! Just like in the classic game of "Hot Potatoe", the children toss around the Stuffed Sheep until the timer goes off. Whoever is caught touching or having last touched the sheep is "out". Line up empty metal cans and let the children toss Bean Bag Pigs to try to knock them down. Each player gets three tries! This game comes ready to play so you don't have to get your feathers ruffled. Divide the players in two teams and let them race each other or let the race individually. Any way you crack it, the iplay Egg and Spoon Race will have them scrambling and just can't be beat. Kids love to play dress up so why not add some country costumes to the farm birthday party fun? Farm animal costumes are absolutely moo-velous and we have plenty of sources for whatever animal suits yer fancy. Buy Costumes has animal attire for the whole family like this adorable toddler calf outfit, a horse mask and pig nose. At Buy Costumes even the family dog can embark in the festivities with this chicken costume. Check out this fine feathered friend chicken costume and the banty rooster outfit for the big people! offers a 80% price match which is worth checking into. Find this udderly awesome child cow costume and many others at Amazon. If you are on a tight budget or are feeling your creative bone, you can collect things from around the house, in the attic and at the dollar store for farm friendly items like straw hats, bandanas, overalls and such. Another idea that wont cost you an arm and a leg is to purchase these Farm animal visors for your guests. You can pass them out when the guests arrive and let them take them home when they leave. Mosey on over to our Farm Craft section to make Farm Animal masks. Be sure to check out our similar themes like Horse, Pony, John Deere and Duck Parties for more fun farm related ideas. Birthdays are for celebrating, not for ruffled feathers so focus on the fun and seize the day! Ya'll come back now, ya hear?